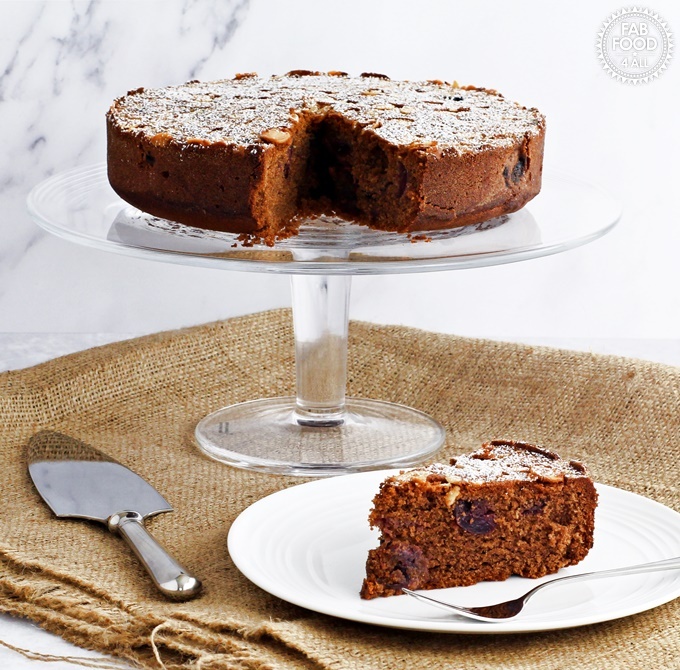 You are here: Home / Cake / Simple Cherry Chocolate Cake with fresh cherries! Simple Cherry Chocolate Cake with fresh cherries! Last week I didn’t plan to make a Simple Cherry Chocolate Cake but a Pear & Chocolate Cake! However, having left it too long, my pears were no longer firm enough to be cake bound. So spying a punnet of fresh cherries in my fridge it became obvious what I should make! Cherries & chocolate are a classic combination, you only have to think of Black Forest Gateaux, so I knew this combination would be a winner. I also added a layer of flaked almonds to the bottom of the tin which toast nicely during baking and add a bit of extra crunch and flavour. 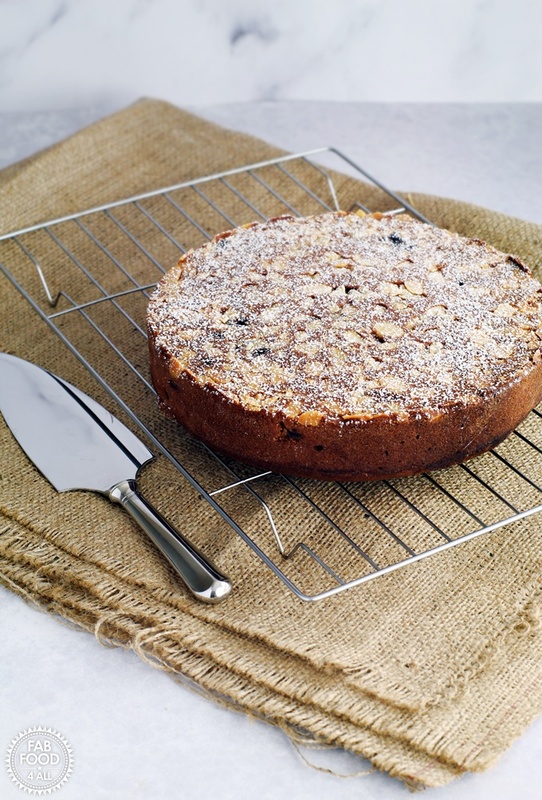 The bottom of this cake actually becomes the top and is finished off with a dusting of icing sugar. How long will Simple Cherry Chocolate Cake keep for? Three days in an airtight container (the cake gets moister on storing due to the moisture of the cherries). What if I haven’t got fresh cherries to make Simple Cherry Chocolate Cake? If you can use the best tasting and freshest cherries you can find. However you could use frozen sweet cherries (yes there are sour ones) straight from the freezer or even drained tinned cherries. How many people will this cake serve? 8 – 10 people, so perfect for a tea party! Could I change the cherries to another fruit? Yes, freshly sliced, firm, peeled pears would work well or any other fruit that you enjoy with chocolate! Could I add actual chocolate to Simple Cherry Chocolate Cake? Yes if you have it, a 100 g bar of chopped up dark chocolate would be a great addition, just fold in along with the cherries. What other recipes can I make with cherries? Love the look of this, Camilla – and hear you on the pears. Baking so much with them just now but one minute they’re as hard as turnips then I forget about them and they turn so ripe quickly! Dying for our cherry season – lucky you to have fresh ones already. This looks fabulous. 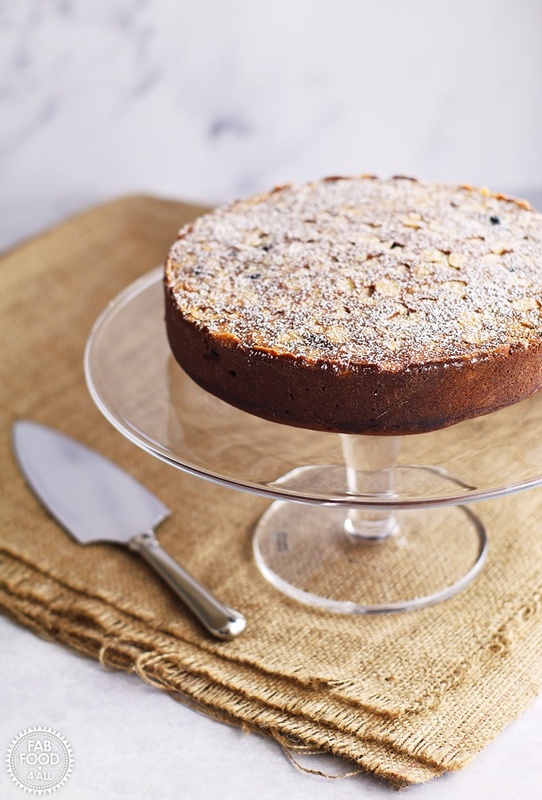 I love the idea of putting almonds on the bottom of the tin – genius! 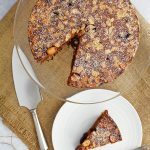 I love the sound of this cake with fresh cherries and chocolate but simple enough for afternoon tea as well! 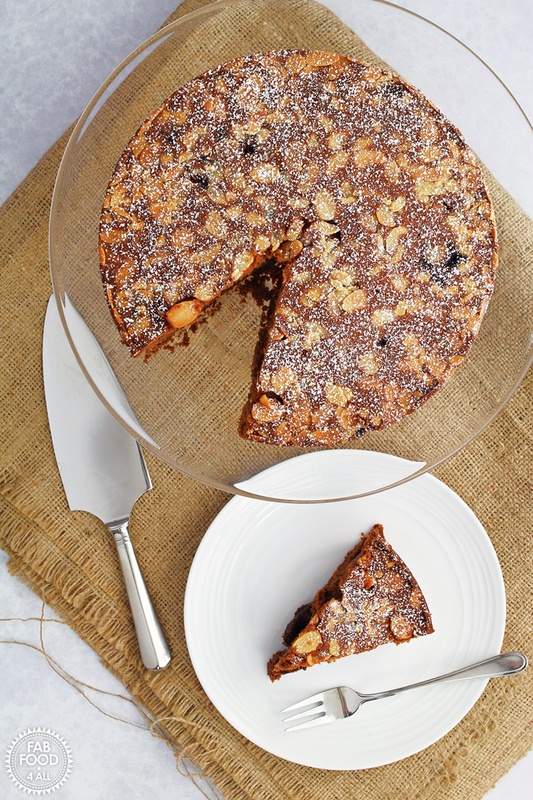 Gorgeous looking cake, easy to make and with one of my favourite flavour combinations. Thank you for including my recipe! 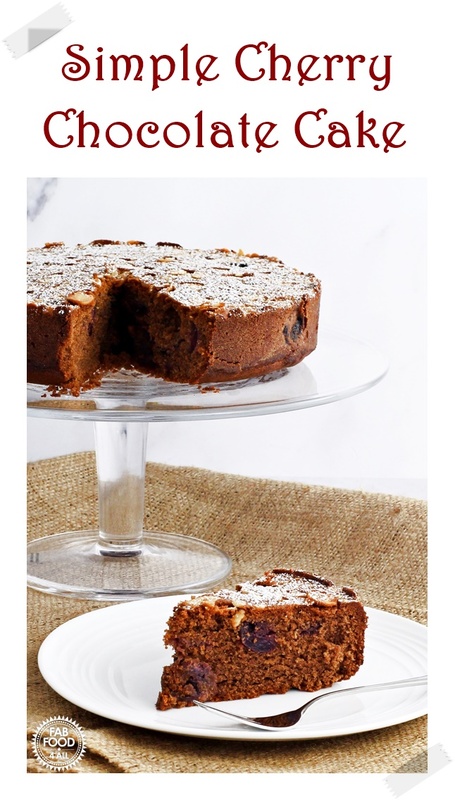 Love the look of this, Camilla, like a fruit cake but with chocolate, doubly good. Looks really comforting! I am in love with any cherry dessert – combined with chocolate? And simple!? It doesn’t get better! Yum! 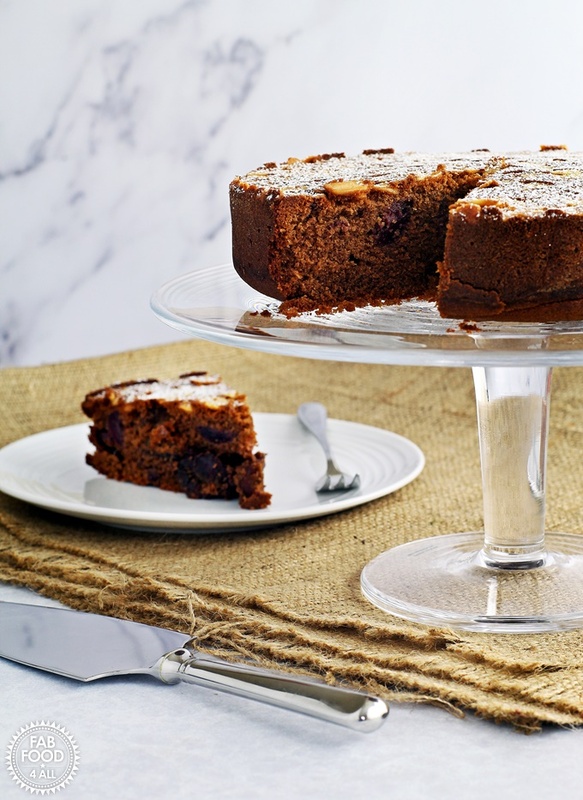 I love chocolate and cherries together and I think this cake looks so lovely and moist too! This looks delicious. 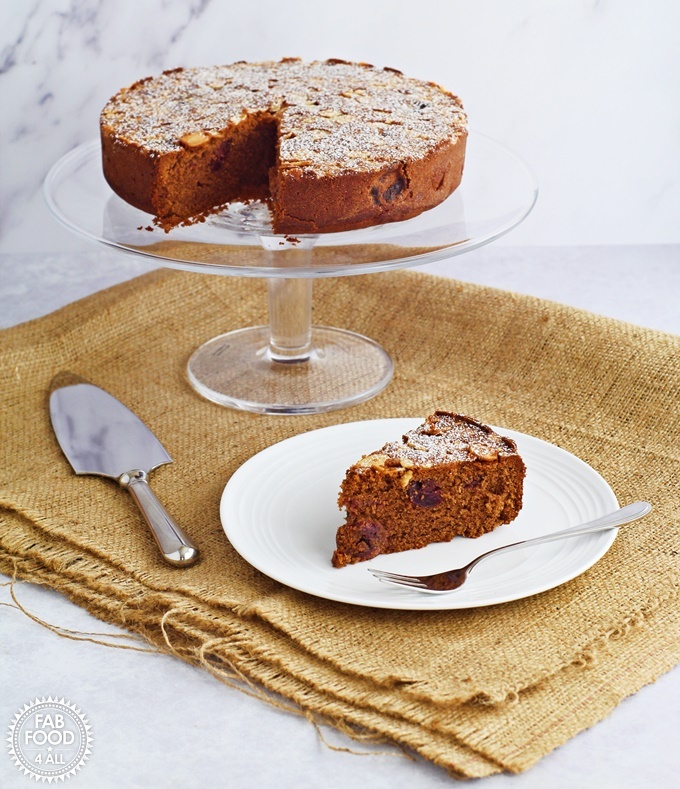 I haven’t made a cherry cake for ages – really must do something about that! Thanks for linking to my recipe. What a wonderful looking cake! Chocolate and cherries are such a great combination.